There’s an impressive list of guitarists paying tribute, including Alexi Laiho (Children of Bodom), Doug Aldrich (Whitesnake, Dio), Bruce Kulick (Kiss), George Lynch (Dokken, Lynch Mob), Dweezil Zappa, Gus G. (Firewind, Ozzy) and Brad Gillis (Night Ranger, Ozzy), among others. Most of them do an admirable job with the guitar parts, but few of them take any chances with the songs. Of course, maybe that’s a good thing. The one song on Immortal Randy Rhoads: The Ultimate Tribute that does take a bit of a chance, album opener “Crazy Train” featuring vocalist Serj Tankian (System of a Down) and guitarist Tom Morello (Rage Against the Machine) is, well, a train wreck. Granted, Morello is really the only one that does anything interesting with the guitar parts, using his trademark electronic squalls, but man, this version of the song is just kind of spastic and difficult to listen to. The Quiet Riot tunes fare better because, coming from the pre-Metal Health era of the band when Randy Rhoads was a member, they’ll be a little less familiar to most people. “Back to the Coast” is a Kiss-influenced hard rocker. Kelle Rhoads’ vocals aren’t quite as distinctive as Kevin Dubrow’s, but it’s still a fun, simple tune. “Killer Girls,” featuring Quiet Riot alum Rudy Sarzo on bass, Owens on vocals and Joel Hoekstra (Whitesnake) on guitar is actually one of the stronger pieces on the record. Hoekstra’s guitar work is stellar, and Owens hits just the right tone for that one. Among the Ozzy tracks on Immortal Randy Rhoads: The Ultimate Tribute, “Mr. 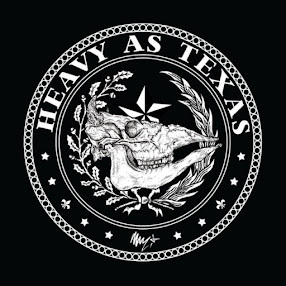 Crowley” – featuring Laiho, Testament vocalist Chuck Billy, Sarzo, drummer Vinny Appice and Kelle Rhoads on keys – is one of the most interesting takes. It’s still very faithful, but slightly heavier, as you’d expect with Billy and Laiho involved. Unlike Owens, Billy doesn’t try to mimic Ozzy’s vocal delivery, but instead belts the tune out in a guttural growl. Some Ozzy fans likely won’t enjoy it, but it seems to me one of the more genuine covers on the record. Other highlights include one of my favorite Ozzy tunes, the soaring “Over the Mountain,” which is probably Owens’ best performance on an Ozzy tune. Shadows Fall guitarist Jon Donais handles my favorite Randy Rhoads solo ably, but it lacks a little of the character and definition of the original. Owens actually finds a little of that Ozzy voice character on “S.A.T.O.,” and “Goodbye to Romance,” featuring Gus G. is quite a pleasant surprise, even though Owens’ vocals seem a bit sharp and overenunciated in places. The mix on the record is, at times, muddy and muffled, so much so that the guitar – which should be the focal point of a tribute to Randy Rhoads – gets a little buried. That’s particularly noticeable on “Believer,” “Suicide Solution” and “Flying High Again.” It feels, perhaps, as if producer Bob Kulick tried a little too hard to capture the sound and feel of the original recordings. The biggest issue, though, is that often the songs on this record sound like each musician recorded his piece independent of the others, and then they were patched together, which may have actually been what happened. But the lack of flow on several of the tunes is jarring. And even the songs that flow best, like album closer “Flying High Again,” have a hitchy beat here or there. The accompanying DVD for Immortal Randy Rhoads: The Ultimate Tribute gives fans a tour of Musonia Studio, the converted house where Randy taught and learned, which is still run by his brother and mother. There are also a series of interviews with producer Bob Kulick, the artists involved and those that knew Randy Rhoads. It would have been nice to have some footage from Randy’s life interspersed with the videos of guys sitting and talking, but I understand there is not a lot available, and the rights were probably cost-prohibitive. There are some cool and interesting stories that come out through the interviews, though, that make it worth a watch. I’m guessing that most of the guys involved in Immortal Randy Rhoads: The Ultimate Tribute were fans or friends of Randy, and the thought came from the right place. To be fair, there are some strong performances, though nothing stellar. 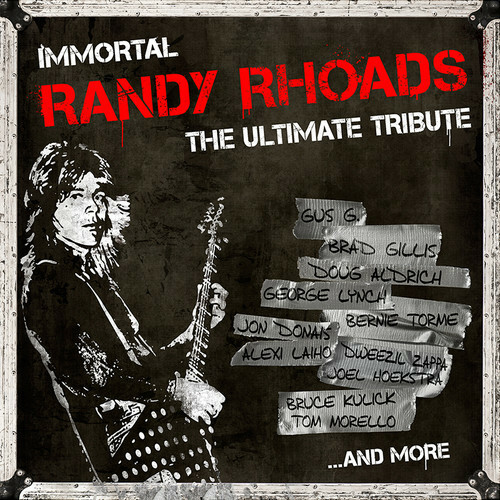 By and large, though, Immortal Randy Rhoads: The Ultimate Tribute is pretty much a karaoke record that really doesn’t add anything to Rhoads’ legacy.